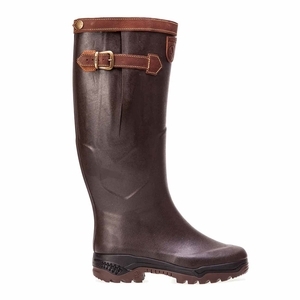 Aigle Parcours 2 Signature Wellington Boots. One of the newest additions to the Parcours range, the Signature features an adjustable gusset on the calf and full grain leather lining. My prior experiences of wellies is cold feet ill fitting uncomfortable but these are on a totally different level. Materials/ craftmanship is first class. Full leather lining is soft sole is cushioned well. Wore these for first time on 5m dog walk first mile pavement rest across snow covered fields. No rubbing soreness or blisters and feet remained warm. Sizing is maybe a tad generous. From 40 years trying to buy shoes I think Im a very std blokes 8.5 but I didnt want to rattle around in these so bought an 8 (42). They are snug but just right length/width. Upper leg is quite streamlined (if you have large calf see wide version) but adjusters work great give 6cm variation. You will need a boot jack for easing off. Price form Uttings was 40% off so fantastic purchase. Excellent quality could do with a little more padding inside comfy good sole overall well made boot. Probably the best walking wellington on the market and no zips means there is nothing to go wrong (believe me I used to sell the other French brand and they were always breaking!). These boots are just perfect! With one minor exception... Price. They are well made with superior materials. Ive owned a previous pair for 10 years and last year had to replace them and I made the error of saving money and buying Caldene ones that lasted less than six months! 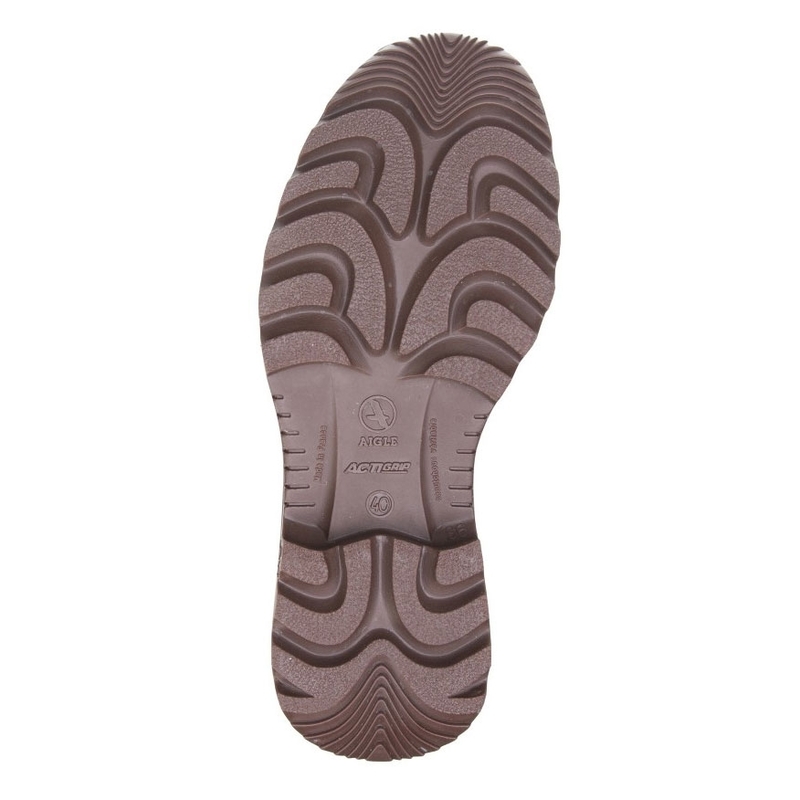 They have the most wonderful anti fatigue sole that really does work its like wearing slippers. They are a lovely bronze colour as opposed to that horrid light olive on LeChameau ones. Firm favourite of French and Belgians alike and for good reason. Buy these if you like comfortable dry feet all day. Yes they are expensive but if I get another ten years out of this pair thats £20 a year! Ive had the neoprene version for a couple of years and theyve been great. I wear boots most days in the winter so the leather lined will replace another brand which cracked and leaked after only 15 months. These are the best boots on the market. I&rsquo;ve had Sovereign Hunters, le Chemau, Musto Leather boots. All fail to live up to expectations. I&rsquo;ve gone back to Aigle and wonder why I ever tried anything else. These leather lined boots are a challenge to get on but once on you forget you are in wellingtons. Perfect for a days beating or shooting. These are the best value boots in the long run. You won&rsquo;t be and Uttings are fab to deal with! Excellent quality and fit . These seem far superior to the leather lined Le Chameaus that they have replaced which barely lasted 2 years and cost twice as much . The boots also look the part and the specialist sole makes them incredibly comfortable to walk in . Already done a couple of 10 mile walks in them with no issues whatsoever . Glad both friends and colleagues recommended them . Attractive comfortable and true to size. Excellent wellies. Now hooked on Parcours. A luxurious birthday treat for me. I have back problems and dread a fall. These leather lined wellies are extremely comfortable and the extra bounce in the heel plus superb grip give me confidence walking in even the most slippery conditions. I've had a pair of these for just over 3 years, they've been well used in all terrain and have outlasted every other pair of wellies i've owned including both hunter and le chameau wellies i've had in the past, i'll buy Aigle over these every time. Taking into account the quality, price, comfort etc i'd say there probably one of the best pair of wellies on the market. As always Uttings gives some great offers and these on sale at &pound;179.99 are an absolute bargain, highly recommended. Bought these for my wife both of us are very very impressed. 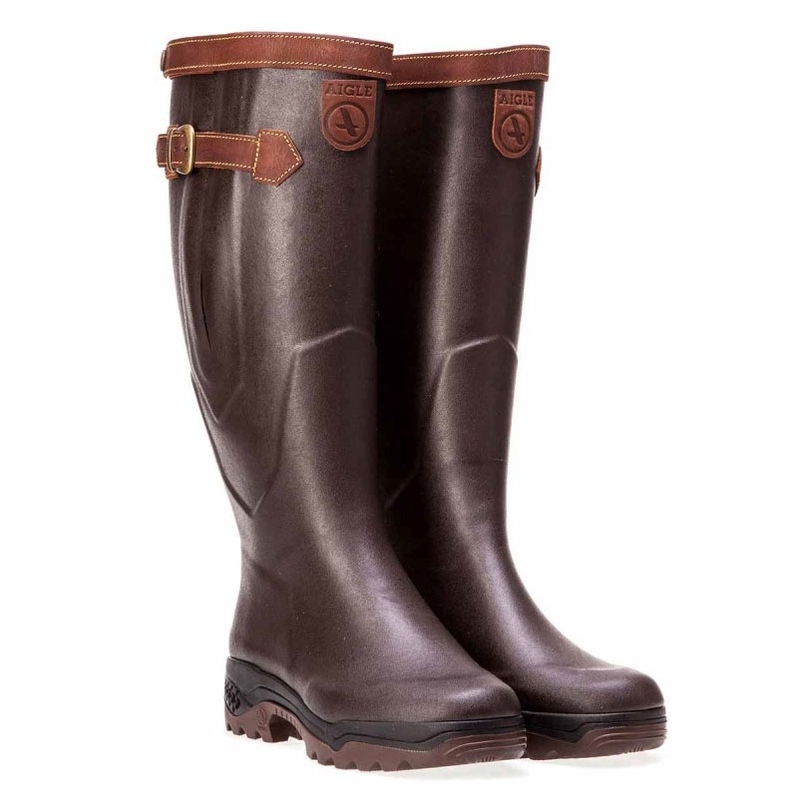 She owned a pair of Aigle ISO (neoprene) wellies previously which lasted 4 years (outstanding comfort and quality). I also have a pair of neoprenelined and leatherlined wellies from Aigle which have both lasted 4 years plus despite several miles of dog walking in the Cotswold countryside every day.Love Aigle boots. They last very well and provide years of comfort and support. Forget Le Chamuex boots... they are much more expensive and offer nothing extra in terms of quality. Buy Aigle and youll never look back! Fantastic boots knocks the competition out of the ballpark. Excellent product and exceeded expectations. Fabulous fit and great quality.